The immigrant experience has been the timely, pressing topic at Cannes this year and no film on the subject has enjoyed a higher profile than Jacques Audiard’s competition title Dheepan. The director of A Prophet and Rust and Bone tells the story of a former Tamil Tiger who fakes family ties, claims asylum and begins a new life in a housing project near Paris that feels more like the Wild West. It is a very touching, human drama in which the former warrior must adjust to changed circumstances and a trio of strangers have to address what might possibly bind them together as a fabricated family. 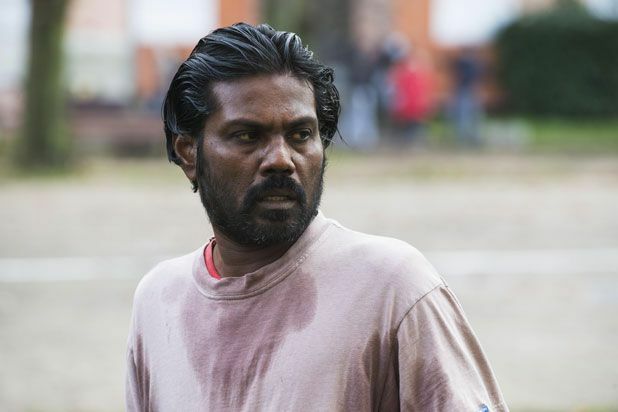 Writer, novelist and political activist Antonythasan Jesuthasan makes an impressive screen debut as Dheepan, a role that reflects some elements of his own life. He was a boy soldier with the Tamil Tigers before fleeing Sri Lanka. Kalieaswari Srinivasan is equally compelling as Yalini, the women who seizes on Dheepan and nine-year-old Illayaal (Claudine Vinasithamby) as her escape route. The film is at its most captivating when it depicts the way the trio embrace new possibilities with Illayaal heading to school, Yalini working as a carer and Dheepan becoming a diligent caretaker at the housing project. It is inevitable that the ghosts of the past will return to haunt them. An open war between rival drug gangs is a painful reminder of what Yalini has left behind and Dheepan is confronted by a former colleague from a war he considered finished. The film loses some of its focus and conviction as it lurches towards a cathartic vigilante finale with echoes of Death Wish and Taxi Driver. It is not an instant Audiard classic like A Prophet or The Beat That My Heart Skipped, but Dheepan is still an intense, beautifully crafted drama. Dheepan (Jesuthasan) is a former Tamil Tiger who starts a new life in a Parisian housing project with two strangers posing as his wife (Srinivasan) and daughter (Vinasithamby). Then his past starts to catch up. Touching, intense, beautifully crafted drama which loses some focus and conviction as it becomes more violent.